Appreciating the Sharing Coming Out of NCTE! I loved reading Tara Smith's post and hearing about some of the wisdom that educators shared as they paid tribute to Don Graves. What a legacy he leaves and thank you, Tara, for sharing so much of what was said by so many other education idols. Linda Baie always has a way of tying learning together with what is really important and mattering at this moment. While it was wonderful to hear a little about the adventures of roommates Tara and Linda, thank you also for sharing some of the thoughts of nonfiction authors. 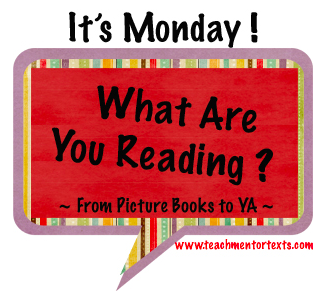 I'm looking forward to reading about more of your NCTE reflections. I laughed at some of the reflections of Gigi McAllister. If I make it to NCTE on an airplane, I will definitely remember her advice to pack an extra bag or to think about shipping all of the ARC books. I will also make sure that I bring my motrin and my granola bars. Catherine Flynn shared a wonderful poem and her thanks to many of the presenters. Knowing Catherine, this will be the first of several NCTE reflections and I can't wait to read all about Catherine's learning experiences. She's a wonderful sharer of learning! Thanks again for sharing some of the learning with the non-attenders. Have a wonderful Thanksgiving! 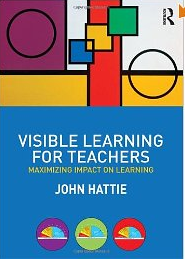 For a few months, I have been reading other people's posts and tweets about Visible Learning for Teachers by John Hattie. I finally broke down and spent the money on Amazon (it's an expensive little book!) and it is definitely worth the money. For the first few pages, I thought about keeping it highlighter-free so that I could return it. Then, I gave up. There's way too much to highlight in this book. I have read several excellent summaries of this book and one of my favorites if Grant Wiggen's which you can read by clicking here. Peter DeWitt also wrote about Visible Learning in his Education Week blog here. Both of these are worth reading if you are thinking about reading Visible Learning, or if you already have. You can also watch John Hattie talk about his book and the research behind it here on youtube. "Fundamentally, the most powerful way of thinking about a teacher's role is for teachers to see themselves as evaluators of their effects on students" (p. 18). "Teachers must have the mind frame to foster intellectual demand, challenge, and higher level and conceptual thinking that make students want to reinvest in learning" (p. 39). "The more transparent the teacher makes the learning goals, the more likely the student is to engage in the work needed to meet the goal" (p. 51). "The message is not about whether we form PLCs, use smart tools, or conduct data teams, rather it is about teachers being open to evidence of their impact on students, critiquing each other's impact in light of evidence of such impact, and forming professional judgements about how they then need to--and indeed can--influence learning of all students in their class" (p. 69). "Two powerful ways of increasing impact is to know and share both the learning intentions and success criteria of the lesson with students" (p. 75). "Error is the difference between what we know and can do, and what we aim to know and do--and this applies to all (struggling and talented; students and teachers). Knowing this, error is fundamental to moving towards success. This is the purpose of feedback" (p. 130). "The aim is to provide feedback that is 'just in time', 'just for me', 'just for where I am in my learning process', and 'just what I meed to help me move forward'" (p. 137). For me, right now, the message about feedback is one of the most important in this book. Hattie identifies factors that influence student learning and meaningful feedback is one of the most impactful instructional strategies teachers can use in classrooms. He also has reminded me of the importance of a growth mindset; the more that teachers can empower students as learners and differentiate in ways that facilitates learning at all levels, the better our schools will become. I am looking forward to talking to other people who have read or are reading Visible Learning. I'd love to hear comments about it! 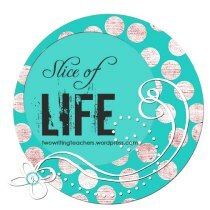 I'm a day late in slicing this week, but I wrote this post on time and it is too important to me to not put it up. Because this post involves the work of many people, I wanted a couple of eyes to look it over before I put it up for the world and so, I had to wait. I don't talk much on this blog about being on the Board of Education in town. For almost eight years, I have had the privilege of serving, and as my tenure winds down, I have been thinking a lot about the time I have spent on this team. Now, I only have one meeting left. Deciding not to run was an easy decision because of the time commitment that I truly can no longer make, but sitting at the table last night was hard--we had many reports and results that made me proud of what our district has accomplished over the last several years. One of our elementary schools hosted the meeting, so we had a brief presentation from them about what they are learning. Throughout the year, each school focuses on one of the BOE's goal, and they are focusing on problem-solving and innovation. One of the kindergarten teachers talked about how they read Franklin's Thanksgiving with the lens of problem-solving. Then, the music teacher showed a video of fourth-graders composing a short musical number, working together and truly being innovators. They have dedicated the school's display window to sharing about problem-solving moments and situations that teachers, students and families have faced. I loved seeing one of our important goals living and breathing in this school, woven throughout the fabric of content, standards, instruction and curriculum. Farmington has a true vision of the graduate that defines the work that we all do at all levels of the district. When we hired our superintendent, Kathy Greider, four years ago, we were ready to begin the process of developing new five-year goals. Most of us had read Tony Wagner's The Global Achievement Gap and we were thinking about how we could integrate his thinking into our vision for the district. After many meetings and discussions, we adopted the following goals, with our vision of the graduate leading the way. The mission of the Farmington Public Schools is to enable all students to achieve academic and personal excellence, exhibit persistent effort and live as resourceful, inquiring and contributing global citizens. 1. All students will demonstrate performance standards in critical thinking and reasoning and meet rigorous core academic content* standards by accessing, interpreting, analyzing, and evaluating ideas and information, drawing evidence-based conclusions, synthesizing new learning with prior knowledge and reflecting critically on learning. 2. All students will demonstrate performance standards in collaboration and communication and meet rigorous core academic content* standards by participating effectively in a variety of teams, actively listening and responding to the ideas of others, sharing responsibility for outcomes, articulating ideas clearly in a multiple formats and using technology tools to enhance communication. 3. All students will demonstrate performance standards in problem solving and innovation and meet rigorous core academic content* standards by identifying problems, analyzing data, asking questions, utilizing a variety of resources, thinking flexibly, making connections and seeking practical, innovative, and entrepreneurial solutions. 4. All students will demonstrate performance standards in self-direction and resourcefulness and meet rigorous core academic content* standards by exploring interests, taking initiative, setting learning goals, demonstrating persistent effort, adapting to change with resiliency and exhibiting ethical leadership and responsible citizenship. Last night, I heard about our goals at the elementary school, and I also listened to a collaborative presentation from a teacher, a guidance counselor, and two students about the new high school program that establishes advisory groups and has all students engaged in service-oriented projects. I will miss my work on the Farmington Board of Education. I really will. Last month, I wrote about transferring skills of writing between various types of writing, thinking mostly of moving between narrative, information, and opinion units. However, the other day, I had a student remind me of the need to transfer skills as they move between narrative units, as well. Many of our students have moved from writing personal narratives to writing realistic fiction at this point in the year. Sometimes, reluctant writers find more success in writing fiction because they don’t have to put down their own feelings on paper and they don’t have to buy into the idea that their own lives contain worthy events for creating stories. Teaching transfer is so important during these writing units. Because we emphasized the importance of focusing on a small moment during personal narrative, it’s easy to assume that this concept will stay with students as they move into a different form of narrative. Narrative is narrative, right? However, when I asked one of the stronger writers in the room what was his “somebody wanted...but...so...and”, he looked at me like I was in the wrong room. What are some thoughts for teaching transfer, not only between the different forms of writing, but also within the same form of writing? I have written some posts about moving from and between narrative, information, and opinion, but what about between personal narrative/memoir, realistic fiction, and imaginative fiction? Here of some ideas that I have as I have thought about this a fair amount over the last few days. Especially for writing, and especially moving from one narrative unit to the next, clear out charts that are not relevant for the next unit, and make a big deal out of keeping the charts that still are relevant. I can think of several charts that apply to personal narrative as well as realistic fiction. I would do this as a lesson, interactively with students. If you have access to them, use the Teachers College checklists for the three forms of writing. If you don’t have access to them, make a checklist for students and use common language whenever you can in order to describe the three forms of writing or the skills required for reading, regardless of genre. At a recent workshop I attended, Mary Ehrenworth, the Deputy Director of the Reading and Writing Project at Teachers College, shared that while teachers prefer rubrics, their research has shown that students do better with checklists. I’m sure that I will think of more to say about teaching transfer between writing units, but please, please, feel free to add some additional ideas in the comments. Each week the Slice of Life is hosted by the writers and teachers of Twowritingteachers.wordpress.com. I came close to missing this week's slice, as I have been distracted by an amazing book, but I'm writing a quick slice before I shut down my computer. When I read a good book, the rest of my life suffers. I have had a lot to do for work, family, and life overall, so I have sort of avoided a novel thicker than a picture book. Professional books I can read in parts, but I have a tendency to get lost in a good narrative. For the last three days, I have been reading Counting By 7s by Holly Goldberg Sloan during any free time I could find (and not free time, as well). When my oldest daughter got home tonight at 8, I told her I'd hear about her day in 40 pages. Then, as I sat at the kitchen table finishing this book, I cried and two of my other daughters laughed at me. "Is it really that sad, Mom?" Cecily asked. The truth is that Counting By 7s is really that sad, really that wise, really that happy, really that everything. I can not wait for others to read this book and share the experience with me. I don't have time for another slice of life that is 378 pages long any time soon, but for anyone looking for an amazing book of wonderful characters and insights and a distraction from their real lives, read Counting By 7s. And please, let me know that you did. We are currently at the beginning of our nonfiction unit in reading workshop so I read a few new nonfiction books this weekend and loved them all! I think elephants are fascinating animals so I naturally gravitate toward books about elephants in bookstores/libraries. 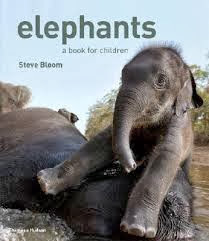 I heard about Elephants by Steve Bloom at a TCRWP workshop last school year, but it was out of print at the time and completely forgot about it until this weekend when I saw it on the shelf at the library. It is back to being available to buy so I will have to add this to my personal collection soon! This is now my all time favorite nonfiction book about elephants and I can't wait to share it with my students this week. The photographs in this book are gorgeous and I love how the book begins with a nonfiction poem about elephants! This book is also a great example to use when teaching students text structure because it has various structures throughout it. For example, one double- page spread compares the African and Asian elephant to one another and has photos to help show the differences between the two. Other double-page spreads focus on describing one part of the elephants body such as trunks, tusks, ears, feet, etc. I will definitely be using this book to help teach various forms of note-taking by using the text structures. I also love how the author talks to the reader throughout the book and gives us real life examples so we can understand the facts such as looking at a pint of milk to understand and visualize that a baby elephant drinks about 20 of those a day! Or by saying that an adult male eats about 700 pounds of food a day, which is equivalent to eating 2,000 apples or 700 loaves of bread. Also kids will laugh at this fact - elephants make about 80 pounds of dung a day which is about as high as a pile of 240 apples! I love these comparisons for kids! Definitely get your hands on this nonfiction book and enjoy! I love Melissa Stewart's series Which Animal is Which? and used Shark or Dolphin? in my classroom a lot last year during our nonfiction unit. So I was very excited when one of my colleagues shared this new Lightning Bolt series by Buffy Silverman, which also compares animals - thank you Tamara! 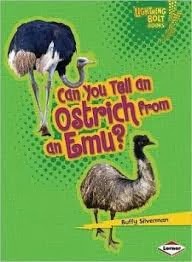 I think ostriches are interesting so I was happy to see Can You Tell an Ostrich from an Emu as one of the books in the series. This series includes books on various animals so definitely check out Buffy Silverman's website to see which animals she compares in this series, along with her many other nonfiction books! Enjoy! I think sharks are fascinating, and so do the majority of students each year, so I have a collection of nonfiction shark books in my classroom library and am always looking for new titles. At my local library this weekend, I came across this Shark Fact Files series by Sara Green and each book in the series focuses on a different type of shark. 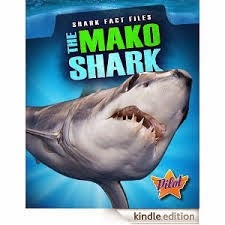 I read three of them this weekend and one of my favorites was The Mako Shark. I like how the author engages the reader right away by putting them into the moment with the shark in the water. The details, photos, labels, and boxed information throughout the book help teach the reader important information about the type of shark. At the back of each book, there is a "To Learn More" page that lists other book titles about the type of shark as well as steps to search online using www.factsurfer.com to learn more about sharks as well as other animals. I will definitely be sharing this series and online resource with my students this week! Waiting in the library for my daughter to finish a study session, I read a few new picture books. My favorite of the day was The Cat with Seven Names by Tony Johnston. I am not a cat fan, so I can't even tell you why I chose this book from the shelf, but I am so glad I did! A well-fed cat visits a wide assortment of people throughout the story and the vignettes of his adventures are all mentor texts in and of themselves. It would be an incredible mentor for teaching voice, since each visitee narrates and this cat visits children, homeless people, non-English speakers, retired librarians... The final message of this story is that of inclusion, acceptance, and a celebration of humanity. If you see this book, pick it up and enjoy! Harold Finds a Voice by Courtney Dicmas has a somewhat less subtle message than The Cat with Seven Names--the voice Harold finds turns out to be his own. However, the story line is adorable, and if you are looking to teach young writers to get sounds into their writing, then this is the mentor text for you! I wish that I had seen Everyone Can Learn to Ride a Bicycle by Chris Raschka before our summer writing academy when we focused on how-to books. This is a wonderfully create book on the complexities of learning to ride a bike, complete with special tips, lists, step-by-step instructions, and short narratives. Professionally, I was excited to get my hands on Lee Teitel's newest book, School-Based Instructional Rounds, because the fifth chapter focuses on my hometown's school district. I admit that Chapter Five was the first part of the book that I read, but then I also read the first chapter and the final section. There is so much information in this book about how to get teachers into other teachers' classrooms in ways that foster dialog, reflection, and professional growth. Teitel includes charts, documents, and other resources that educational leaders can use right away in order to facilitate instructional rounds within their districts and buildings.